When you mention the band Scorpions, certain images immediately come to mind. Leather. The color black. Long poodle-permed hair. Insanely tight pants. And that was just the men that attended the band’s “Final Sting Tour” show. 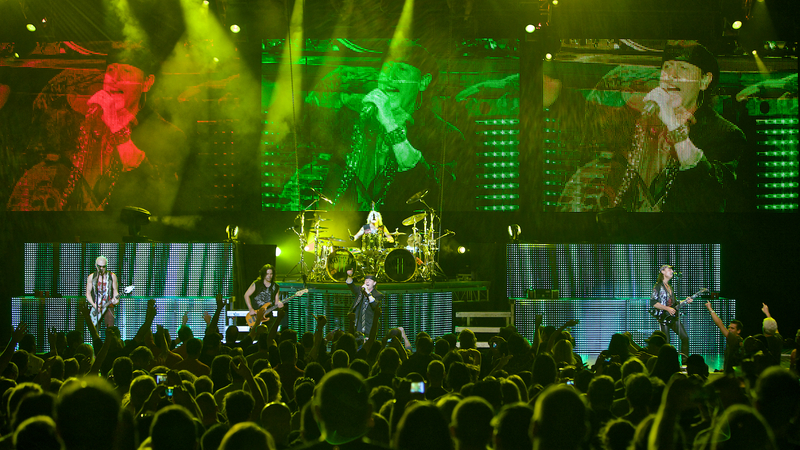 All of that and more were on hand during the Scorpions concert on July 11 at the Mann Center for the Performing Arts. 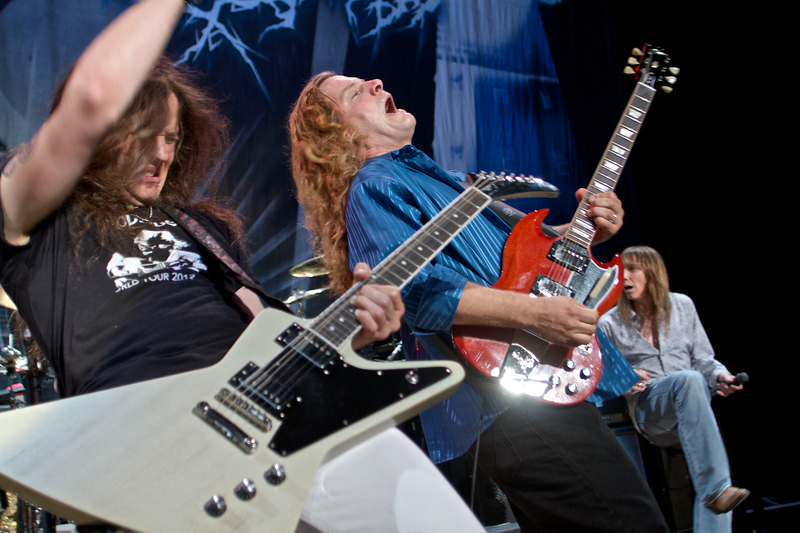 The Scorpions and opening act Tesla brought the ‘80’s hair metal fans out of the Philadelphia woodworks for a night of flashy, gritty, hard rocking fun. There seems to be a certain degree of shame that goes with liking ‘80’s hair metal, usually inflicted by closet hair metal fans that haven’t come to terms with their tendencies to appreciate men with long poofy hair and pre-pubescent voices. 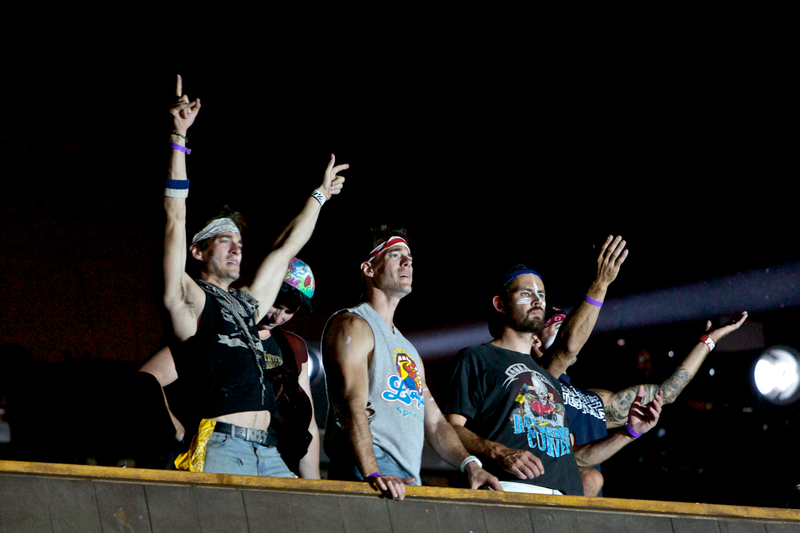 Despite this, proud hair band fans braved the weather and the warm venue beer to show their support. This show had a setup fit for a stadium concert, with more speakers and lights than ever seen before at the venue that is most popularly known as the home of the Philadelphia Orchestra. 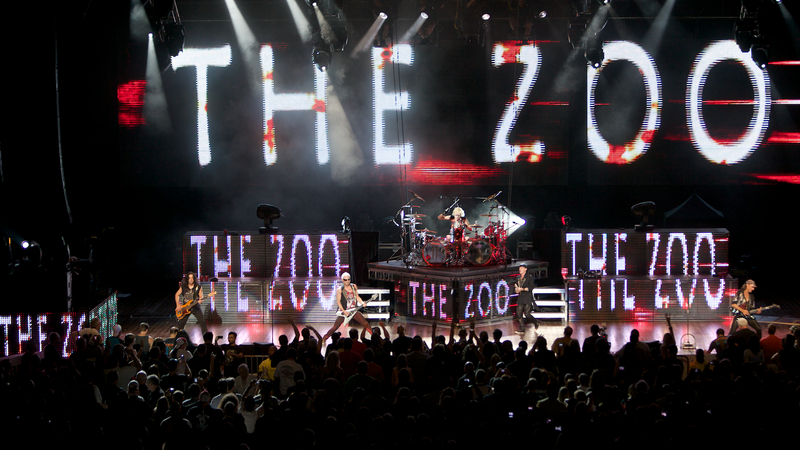 The Scorpions have been quoted several times on this tour as saying this is the last tour they will do in the U.S. Happy—or what passes for happy in this subculture–Philadelphia fans crowded the front of the Mann Center orchestra seating section to catch a glimpse of their rock gods, and perhaps a bit of their hazy youths. If you’ve ever seen the movie Wayne’s World, just picture the scene where they go to the Alice Cooper concert. This show was like that, except slightly less crowded. It felt a little silly, but was totally fun. And just like any good mullet, the band was a great blend of business and party. Next time I’ll be sure to pull up in my own Mirth Mobile to show my support. This entry was posted in Music and tagged Alice Cooper, Concert, Mann Center, Mann Center for Performing Arts, Philadelphia, Philadelphia Orchestra, Rock You Like a Hurricane, Scorpions, Tesla by S.D. McPhail. Bookmark the permalink.